The room was packed and carefully listening to Massimo’s keynote about latest development at Arduino during Maker Faire Bay Area 2015. Starting from core values of Arduino, its community and showing the work Arduino team is doing to bring benefits to it: it’s about creating open protocols, bridges and connections, to give more options to makers and allow them to port projects on what platform is more effective for the development of their ideas. 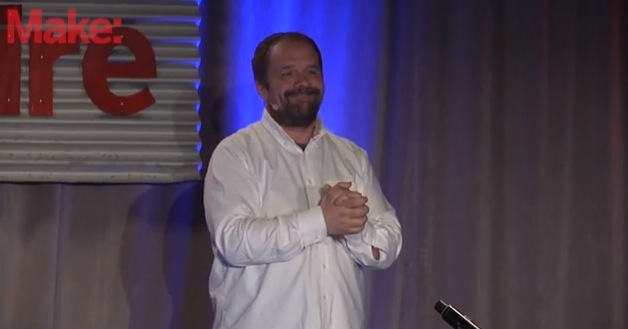 Arduino community is at the center of his message. It’s amazing how it has been growing a lot in the last 10 years and the impact of traffic and downloads of Arduino IDE gives us an idea of the importance of Arduino in the maker community. In the last year more than 21.5 million visitors landed on Arduino.cc website and 65% were returning visitors with an average session of 6 minutes. An Arduino IDE is downloaded every 4.5 seconds and since March 10th we reached almost 1.4 million downloads. That’s why Arduino is not only about boards. Arduino approach goes beyond hardware and commits to providing makers with a whole greater experience in creating projects and trying to improve the way people build with Arduino and other compatible boards. This approach is represented in the improvement recently brought to the Arduino IDE but also developing web-based tools. That’s what goes especially into the new Arduino Create, now available in private beta. Massimo referred to it as the “Arduino Operating system”, because now makers can run Arduino on a bunch of different operating systems, frameworks, libraries, and translate a prototype into a finished product in a much easier way. Going back to hardware, the moment arrived to give some news about where to buy Arduino.cc boards. After the announcement of the strategic manufacturing partnership with Adafruit for the US Market the audience burst into warm applause. Massimo then announced Arduino started a series of other partnerships to manufacture boards locally all over the world and make them available as soon as possible to makers and distributors. – Arduino Yún Shield available from the 25th of June – Adding Arduino Yún capabilities to any Arduino. At the end of the keynote Massimo spent a few words regarding the European and rest of the world market, introducing to the audience a new sister brand. Now we all can say: welcome Genuino! 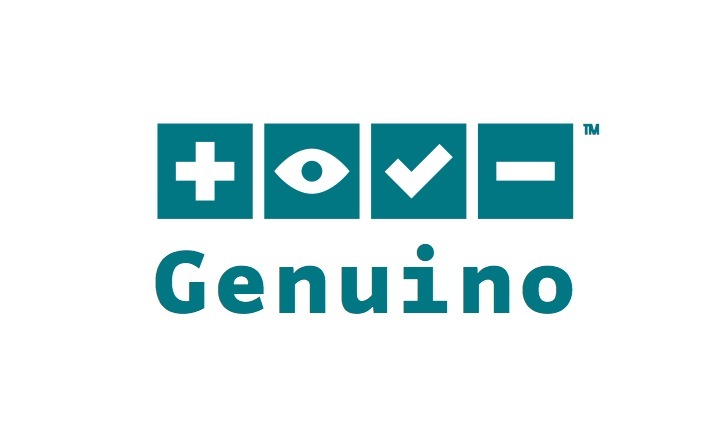 It is a play on the Italian word genuino that in english means genuine/authentic and will allow Arduino team to keep promoting a common approach within the open hardware and open source community providing genuine boards to all makers outside of the US. La cosa che apprezzo maggiormente è la nuova filosofia di sviluppo basata su browser e cloud, è la direzione giusta. Spero che si arrivi al più presto ad una versione stabile e compatibile con tutti i modelli Arduino, vecchi e nuovi. Am I the only one wondering what “Genuino” actually is? (Other than meaningless marketing phrases like “will allow Arduino team to keep promoting a common approach within the […] community”)? The way it seems “Genuino” is nothing but empty words from persons that could not get a well-payed job in the IT industry. I work for a very very big IT company and I am used to vapor words. However, I did not expect this on the Arduino web side. @arduinoaleman I think the idea of Genuino is to develop under a brand that totally belongs to Arduino cc. This way the can continue development without being afraid to give all the arduino brand to arduino.org. More or less is to detach part of the business outside of the US, where arduino.cc has the arduino brand registered. What about the “Wifi Shield 101” now ? everything again just another joke of the great storyteller ?